»Press»DSC Is Featured In Cloud961’s New Year Issue! DSC Is Featured In Cloud961’s New Year Issue! 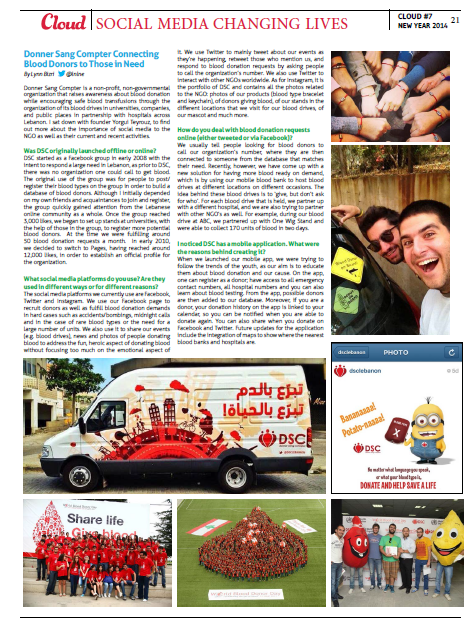 DSC has been featured in an interview with Cloud961 entitled “Donner Sang Compter Connecting Blood Donors To Those In Need”. It appears on the page 21 of the mag’s New Year’s issue, which you can download here. ← And The First University Opens Its Doors To Us This Year!